"Merrow’s partnerships with various OEM manufacturers really helped us on this one - we were able to get the equipment we needed to fit our in-house operation without any disruption to our existing set-up." Acme Mills is a privately owned company that has been supplying industrial fabrics and solutions to a wide range of industries since 1917. They have extensive experience in fabric development and application, developing revolutionary products like Dymetrol™ fabric for seat coverings. It is no surprise that when they needed a seaming process for one of their latest materials, they contacted the Merrow Stitch Lab™ for a solution. Merrow has strategic partnerships with companies world-wide, ensuring that we can handle any customer’s problem at a moment’s notice. From railway systems to tubular knit sewing stations, our line of 70 and 72 Class Machines are designed to work on a number of OEM products to increase their renowned versatility. 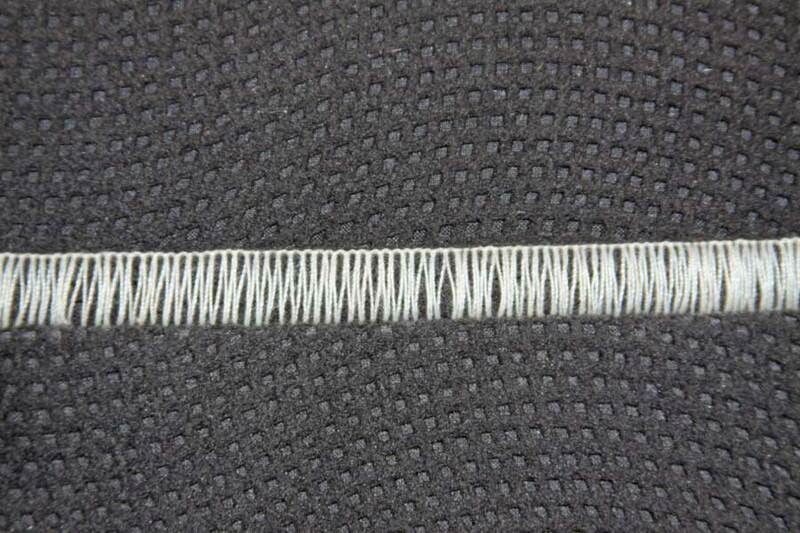 The Merrow Stitch Lab™ determines the best possible solution for customers’ seaming requirements. Merrow Stitch Lab™ technicians have extensive experience with solving customers‘ problems, and no material is too thick, too thin, or too difficult to handle for a Merrow machine. Send in your fabric and Merrow will sew it off on the correct model at the correct settings, ensuring that your seaming process is as efficient and reliable as possible, saving you maintenance and down time costs. Merrow 70 and 72 Class machines can handle all manners of woven, knit, and non-woven material. Merrow's 70-D3B-2 can be configured in a number of ways to accommodate any material or environment. The Flat Butted-Seam is the industry standard for joining material end-to-end.